Wadline.com Recognizes VisionFriendly.com as one of the Best Web Developers in Chicago, IL! VisionFriendly.com is proud to be recognized by Wadline as one of the Top Web Developers in Chicago. Learn more about our services and see our recent work by visiting our profile! 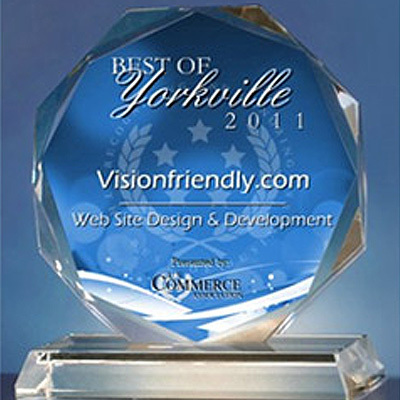 ThreeBestRated.com Recognizes VisionFriendly.com as one of the Best Web Designers in Naperville, IL! We're excited to be recognized in the areas of Website Design, Website Development, Logo Design, Branding, Content Creation, E-Commerce, Content Management System, Mobile App, Social Media Management, SEO, Website Hosting, E-Marketing Services & Support Services by ThreeBestRated.com! 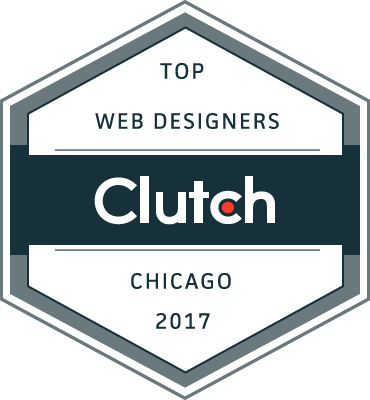 For a third year in a row, Visionfriendly.com was once again ranked as one of the Top Chicago Digital Marketing Agencies on Clutch.co. This website also features many really great reviews. Take a look and see what our customers are saying! See Reviews. This updated research distinguishes twelve Chicago-based full-service digital agencies that provide outstanding service. "As the online economy grows, having a strong digital presence is important in a bustling city like Chicago," said Sara Philibotte, business analyst at Clutch. "These leaders stand out from the crowd, with not only their diverse and specialized skills but also their commitment to staying on top of the latest digital trends. 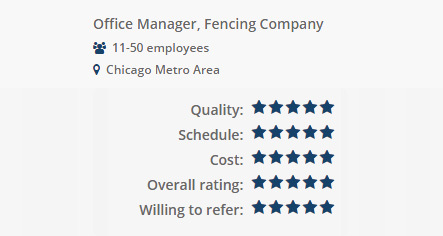 This expert knowledge, along with unmatched customer service, earns them a top spot in our rankings, and we are excited to award them the praise they deserve." It’s free and simple to get listed on Clutch. However, only the best companies in each industry are chosen as leaders. Clutch adds new companies and reviews to its platform daily, as analysts research and evaluate new segments. These results are a snapshot of Clutch’s leaders matrices as of March 19th, 2018. Rankings may change daily and may not be what is currently reflected on Clutch’s website. Visionfriendly.com was once again ranked as one of the Top Chicago Digital Marketing Agencies on Clutch.co. This website also features a few really great reviews. Take a look and see what our customers are saying! See Reviews. WASHINGTON, DC - February 22, 2017- Today, Clutch published an updated report highlighting top Chicago full-service digital agencies. The report uses Clutch’s proprietary methodology that maps out each agency’s focus on digital marketing, design, and strategy with their proven ability to deliver on client expectations. The leading digital agencies are Rule29 Creative, BatesMeron Sweet Design, Walker Sands Digital, Digital Third Coast, Mightybytes, Mabbly, VisionFriendly.com, Bright Bright Great, Killian Branding, Marcel Digital, SoMe Connect, and Idea Marketing Group, Inc. “With more and more agencies offering a full range of digital services, customers are looking at an overcrowded marketplace to find a team to handle their online marketing needs,” said Michael Block, Analyst at Clutch. 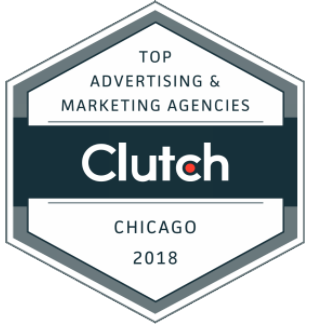 “The leading agencies we’ve identified have proven their value in the market by being able to deliver on many crucial aspects of digital service, ultimately transforming a company’s presence online.” Clutch analysts weighed a number of different characteristics in order to fully evaluate Chicago agencies. A heavy focus on specific digital segments like design, marketing, and branding were important in the process. 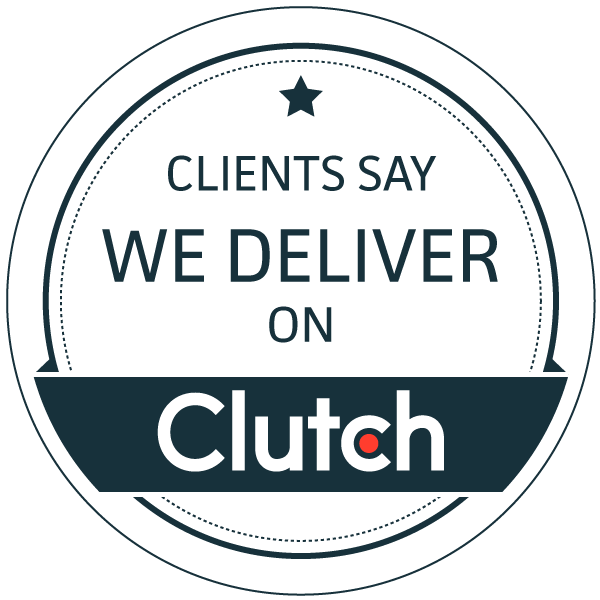 Client interviews, previous experience, and marketplace presence also played a large role in Clutch’s evaluation. Clutch’s effort to identify top Chicago full-service agencies is ongoing, and the firm encourages agencies to apply to contribute to future research updates. Upcoming publications will highlight Los Angeles advertising and marketing agencies, as well as Chicago web design agencies. 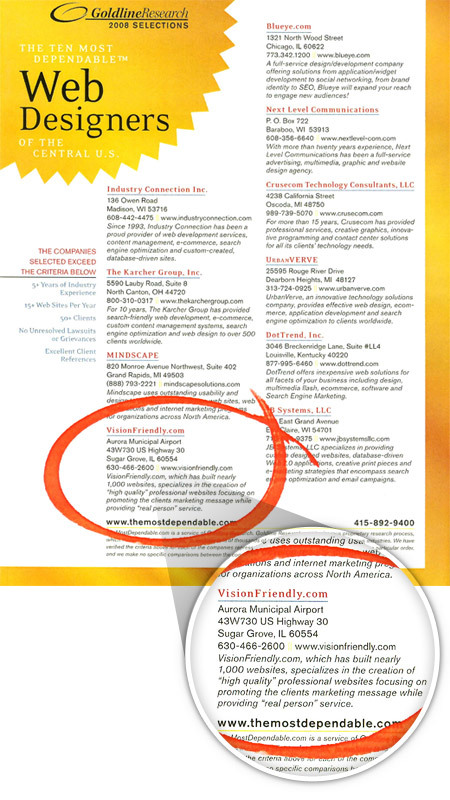 Visionfriendly.com was ranked as one of the Top Chicago Digital Marketing Agencies on Clutch.co. This website also features a few really great reviews. Take a look and see what our customers are saying! See Reviews. This new research identifies Chicago-based agencies with exceptional records of client service in digital marketing. WASHINGTON, February 18th, 2016 — Today Clutch published its first report highlighting Top Chicago Digital Marketing Agencies. The research leverages Clutch’s proprietary Leaders Matrix methodology, mapping each firm's focus on digital marketing services against their ability to deliver on clients’ expectations. The leading agencies are: Straight North, MightyBytes, Walker Sands Digital, ePageCity, Inc., Bright Bright Great, Digital Third Coast, VisionFriendly.com, Marcel Digital, LLT Group, Innovaxis Marketing, Duo Consulting, and BatesMeron Sweet Design. “In today’s digitally focused market, businesses of all sizes benefit from a strong online presence,” stated Eleonora Israele, Analyst at Clutch. “The selected companies have shown the ability to plan and execute complex digital marketing campaigns that increase their clients’ online visibility.” Clutch analysts reviewed companies with a proven track record of success in inbound marketing projects. The thorough assessment of these agencies’ capabilities included an examination of their experience, client feedback, market presence and industry recognition and certifications. Clutch's effort to identify leading digital marketing agencies is ongoing, and the firm encourages companies to apply to participate in future research updates. Upcoming publications will highlight Los Angeles Digital Marketing Agencies and San Francisco Branding Agencies. Naperville, IL -- VisionFriendly.Com has designed its own island, in Florida no less. Most likely this feat gives the Naperville, IL web design and development firm a worldwide first. VisionFriendly.Com CEO Rob Wenz believes in doing things with flair. So when a Palm Bay, FL community Lakes at Waterstone wanted to construct an island in one of its lakes, Wenz's company created a splash, so to speak, by taking on the challenge of not only designing it, but also donating funds for its creation. "Like our company's website designs, VisionFriendly Island is engaging, vision friendly and, most of all, easy to navigate – there are bridges on each end," said Wenz. To view a video of the island and its construction, visit The Lakes at Waterstone. With their land/water adventure behind them, the VisionFriendly.Com team is already on to another lofty idea – treating customers to indoor skydiving. Rob Wenz is known for his listening skills. His company VisionFriendly.com relies on them to create customers for life. “We were located on the Route 47 highway, and it was difficult to find people and get larger customers, but now that we’re in Naperville, we’ve attracted quality employees and raised the level of businesses we deal with,” he said. Gloria Stewart, CEO and president of Halogen Lighting Products in Kaneville, Illinois, has been a customer of Wenz’s for more than 15 years and said she “couldn’t speak more highly” about him. “The fact we’ve been with him for at least 15 years is a testament to his work, and they do beautiful web designs,” Vogel said. “We get about 80 percent of our leads from the web page, which is the cheapest and most effective advertising we do. We’re fortunate to have been with Rob along the way. The company doesn’t take advantage of people and, in my opinion, you get your money’s worth. Wenz, 68, grew up in Minnesota and went to college at the University of Minnesota. He married and wound up living in New Hampshire for 21 years before moving back to Illinois. He said he worked for one of the country’s largest accounting firms, KPMG, and tried to convince management about the benefits of the Internet when it first launched. Among VisionFriendly’s 800 active clients are both Aurora East and West high schools, along with Northwestern University, an account Wenz said he is proud to have. Like many others in their 60s, Wenz admits he was late to the party when it comes to computers and being Internet savvy, but his passion for it from the very beginning made him a quick study. “I fell in love with it from the beginning, and when my kids were in sports, there was not a good way to connect with the teams so I started putting things on the web, and my love for it carried right on when my kids went to college,” he said. (Aurora 2011) – The East Aurora Community Relations Department was honored with two awards of distinction at the annual Communications Awards Luncheon sponsored by the Illinois Chapter of the National School Public Relations Association (INSPRA) on Friday, September 23 in Oakbrook, IL. INSPRA sponsors the only awards program in Illinois specifically honoring high quality school communications that promote the mission and message of the school district. 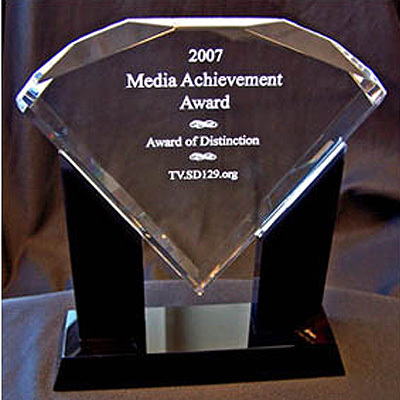 Awards of Excellence and Awards of Merit are presented to exemplary publications and other media communication. District 131 received the Award of Excellence for the D131 In-Review Video that details the highlights of the 2010-2011 school year, and the Award of Merit for the Making Choices for Excellence brochure that features significant achievements throughout the school district. Each entry is judged by a panel of expert communications professionals from throughout the country who are veterans in their fields. “We are very proud to know that our district is being recognized as one of the leaders in the field of community relations by the very people who set the standard for effective community relations,” said Clayton Muhammad, Director of Community Relations, who has also received two Distinguished Service Awards from INSPRA in the last five years. The mission of the Illinois Chapter of the National School Public Relations Association is to strengthen support for Illinois public schools and to improve education for students through responsible public relations. The Ten Most Dependable Web Designers of the Central U.S.
1998 Elburn resident Rob Wenz founded VisionFriendly.com, a web design, development and marketing company. Then two years ago, he acquired Balta Design of St. Charles as a subsidiary, giving the combined company a strong presence in the Tri-Cities/Elgin area. Balta Design had been known for its graphic designs and attractive websites. But when it merged with VisionFriendly.com, the St. Charles company was able to expand the scope of its services, including improved customer support and a full Internet product line. Today, Balta Design is a full-service web company, specializing in design, development, search engine optimization, e-commerce, web promotion, social media, video, and mobile solutions. It serves customers whose businesses tend to be between the bigger companies that cost more and smaller companies that can’t handle the various skills needed in today’s world of technology and the Internet. While the Wenz’s company is known for its eye-catching websites, VisionFriendly. com was in the news recently for taking on a rather unusual design challenge. Last year, VisionFriendly.com designed its own island, in Florida no less, most likely a worldwide first for a web design and development firm. “Like our company’s website designs, VisionFriendly Island is engaging, vision friendly and, most of all, easy to navigate, "there are bridges on each end,” said Wenz. 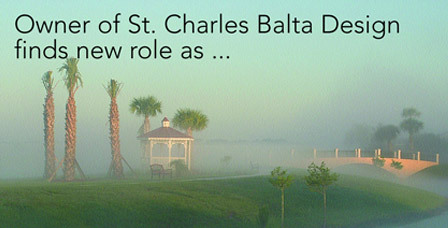 To view a video of the island and its construction, visit thelakesatwaterstone.com. 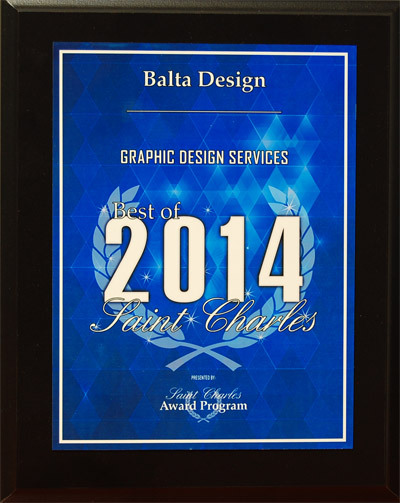 Balta Design is located at 100 Illinois St. in St. Charles. For more info, contact Balta at (630) 492-0147 or [email protected]. Rob Wenz, the web designer for the Kaneland athletic website located at www.Knights.elnet.com, has earned three awards for his volunteer work on the site. “I love the kids in the area, I love the sports and the technology. This has evolved into something really neat,” Wenz said of the site that takes about 20-30 hours per week to maintain. 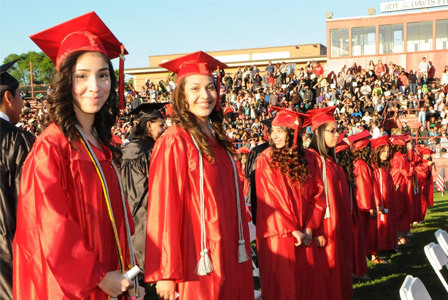 The site was recently named by the Chicago Sun Times as the best high school website in Illinois. “It was done during the football playoffs, and the way I found out was that somebody read about it in the paper and then told me about it,” Wenz explained. The site also earned an award from Destination Illinois, who named the site as one of its “Sites of the Week” during the football playoffs. “What happened with that one was somebody from Chester wrote me an e-mail congratulating me. I did not even know about until he told me,” Wenz said. The third award Wenz earned was from fox-valley.net, where people vote for their favorite site in the Fox Valley area. The Knights site was rated as one of the top 10 in the Valley. Wenz has continued to work hard to keep on the cutting edge of technology’s website capabilities as he works on the site. After last week’s girls’ basketball conference championship, he combined a video clip of the post-game celebration with the game story. The site came about three years ago when Wenz and Kaneland Athletic Director Jill Holmes sat down and discussed how nice it would be to create a site for Kaneland sports. “I agreed to work on it and see how it worked out. At first, we just put up schedules and scores, and one day I walked in and said ‘Hey, we had 10 people visit.’ So, then we were pretty excited, and it has grown tremendously since then,” Wenz explained. It has grown so much that Wenz said he thinks the site is getting close to having its one millionth “hit” or visitor. During this past November and December alone, the site recorded over 16,000 hits. However, Wenz now says the increased attention has created a little bit of pressure. “We had a game starting at 5:30, and it has been changed to 7 p.m., and we didn’t have it updated. I kind of feel like people look at this and rely on it, and it’s a concern that I’m not able to keep all of the sports updated. I’m concerned of that aspect. I hope that at some point, I’ll get more support on the site, because it needs more hours now to continue to grow and maintain what has already been established,” Wenz said. Wenz, a full-time web designer, said that the site has grown to a point where it takes more time to maintain than what he is able to spend. All the work, he said, is done on a volunteer basis. Even the space for the site is donated. 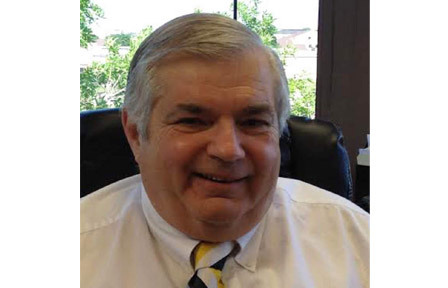 Dan Graupman, owner of Electro Link, Inc. provides the space through elnet. “I have asked for help or sponsors, who have, through the years, supplied information that helps update the site. This year, we had no coverage for wrestling, because nobody stepped up to help and I didn’t have the time,” Wenz said. He gets much of his information from his attendance at the games, and also relies on the coaches. In the past, he has also relied on some of the athletes’’ moms to supply information. Despite the help he has received from various sources, Wenz said that he is not sure how much longer he will be able to maintain the site at its current level of involvement. “I don’t know what the fate of the site is if more people don’t step up and support it. I have on son graduating this year and my daughter will graduate in a couple of years, and at that point will my interest dwindle? I don’t know, but I would say probably,” Wenz said. Wow! That was fast, you guys are like Jimmy Johns. Working with you both has been a huge help to my career. The CCTASP website helped me bring a lot of my ideas to life and demonstrate my value to the department. Honestly, MHJJ was a mess of a project until you came in and turned the website around. Your skills and work ethic are always consistent. I hope to collaborate with both of you in the future and bring in new business/projects as I continue to build my network in the health care industry. Vincent R - Highland Park, IL. The folks at VisionFriendly.com are knowledgeable, highly capable and easy to work with. I have had them design two generations of my website for me and each has outperformed the previous. But they are more than designers of sites. They truly understand marketing in the new age of social media particularly the very rapid changes necessary to keep a site fresh and available. The graphics in my site are eye popping, the design easy to navigate, and the whole presence particularly fun and light. One person who came to me through my site thought that my business was much larger than it really is. This is a tribute to VisionFriendly.com professionalism. I know that I can contact any of the team, Kristin, Eric or Bobby for fast help to make changes or give highly professional advice. I strongly recommend them. When I started my businesses I initially created my own web pages. They worked for the initial start-up phase, but we quickly outgrew them. I went to VisionFriendly on the recommendation of a friend, and I could not be happier with the experience. My web pages were created on time and on budget. The designers and staff at VisionFriendly took the time to understand my company, what we needed to accomplish with our page, and what we needed our web site to do. It has been a great experience and I would happily recommend VisionFriendly.com to anybody. 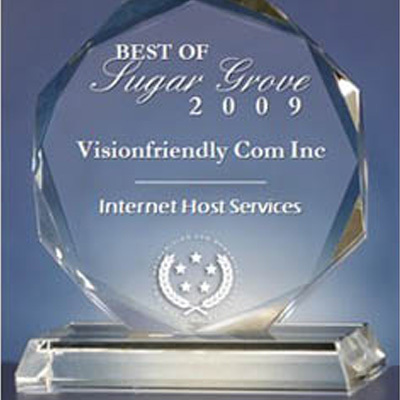 VisionFriendly.com is the best company we've every worked with on our website (crystal-life.com), which we've had since 1996. They can design for any type of company, have very deep technical experts who liaison among themselves to solve any type of web issue, and come up with the type of easy for us to maintain solutions that only real experts can create. They charge fairly and work quickly. We sought out Vision Friendly as we needed to redesign our website, add features, and improve accessibility for visitors to the site. We initially met with Kristin and Erik and they did an excellent job listening to what our business was all about and the image we wanted to portray. Kristin was our designer and she was thorough, prompt, and creative, developing a site that represented who we are as a company. Following Kristin, came Bobby. Bobby sat down with us (me and my husband) and walked us through the ins and outs of WordPress so we could effectively make changes to our website and blog. Not only is our site amazingly professional and represents what we do as a company, but they have provided on-going support since completion of the site. My husband and I are technologically challenged and Bobby and Kristin have responded quickly, patiently, and thoroughly at every turn. I would highly recommend Vision Friendly to anyone looking to portray a professional image at a reasonable price. If a company wants to get a return on it's investment, Vision Friendly is the right source for any and all website design and support needs. I started my online business about 16 months ago. What I needed was a group that could put together both the marketing and sales sites and integrate them into my merchant account and fulfillment center. I approached Visionfriendly.com after doing some online research on local groups with those capabilities. We had a meeting and we discussed what the business needed and when it had to be done. They came back to me with some solid designs and plans to integrate the entire process. They executed our plan, built the site, integrated it with my other service providers and it has worked flawlessly ever since. Kyle Lisson was and is my designer and Bobby Fisher does the SEO. Both are available when I need them to make whatever changes are needed.Eric Kinsey was my initial contact for the project. If any of these people are not available when I call there is always someone to pick up the ball and complete the task. Yes, I would highly recommend VisionFriendly.com. I talked with Keith from VisionFriendly.com and he made the phone call pleasant and was very easy to talk to and understand. I didn't know anything about smartphones but Keith made the process very simple. There's over 2000 more where that came from.